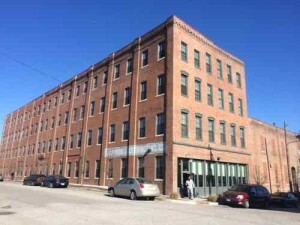 After a $10 million dollar investment, the Stamping Lofts opened in April 2013, part of a historic district. Amazon says it has received 238 proposals from cities and regions wanting to host the company’s new headquarters. Proposals came from 54 states, provinces, and districts. Little Rock, AR took out a full page ad in the Washington Post saying ‘no thanks.’ Very smart. Still, the experience our region went through may prove valuable in the future. Without knowing who has submitted proposals and what will sway Amazon’s final selection. Since Amazon announced their intentions to build a 2nd headquarters, articles have listed cities/regions with better chances than others. Amazon may end up picking one pf these, but thru might also surprise everyone. WE just don’t know. They’ll have some process from going from 238 to 1. I doubt we’ll hear nothing between now and the wining city/region. Will they narrow to 50 and them to 10, before 1? We don’t know. I do know our region looked at the North Riverfront area very differently than it had a couple of years ago. Recently our region saw it as a place to level everything in site and start over. Hopefully our proposal envisioned new buildings filling in the gaps between old buildings. Even if Amazon doesn’t pick St. Louis we can create a new vision for the central business district, North riverfront, and East St. Louis. Most who voted in the Sunday Poll are doubtful St. Louis will be selected. Q: How confident are you the St. Louis region will be among the finalists for Amazon’s HQ2? Those who say St. Louis has a zero chance and those who’re convinced we’ll be selected need a dose of reality. At this point it is just too early to know. I do know our sites have great development potential. If Amazon isn’t interested, we need to market them to smaller companies, startups, etc.